Take the stress out of finding your perfect study spot by booking in advance. University of Worcester students can now book group study spaces up to 48 hours in advance, for free. All study spaces can be booked for up to 2 hours per day per student. 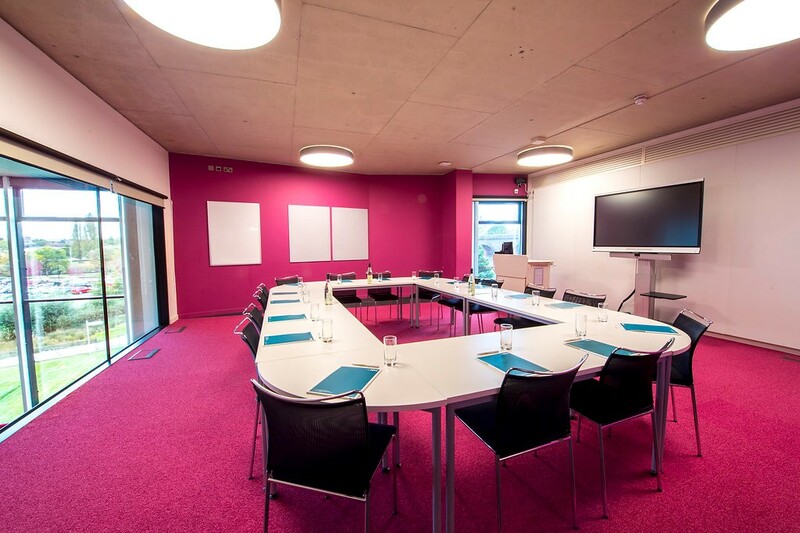 Students can book meeting rooms 2-8. The rooms are ideal for groups of between six and fifteen people- you must have a minimum of 4 in your group. All rooms have a whiteboard and a pinboard, some have 42" mobile screens with PC input and some have Smart Screens with PC input. What type of space you would like to book e.g. meeting room, group study table or Nook. If you haven't booked, you can still use the rooms when they are free. However, you may be asked to move if a last minute booking is made. 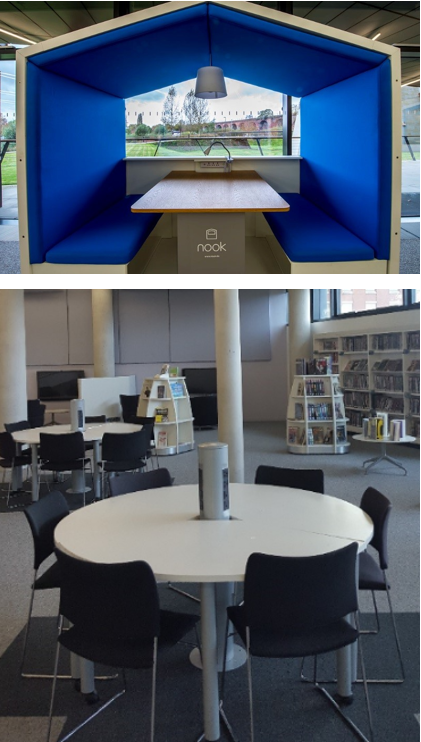 To book a shared study table or a Nook email hiveadminteam@worcestershire.gov.uk from your University email account. Remember to specify what type of space you would like to book i.e. meeting room, shared study table (table 1, Level 0) or Nook and don't forget to include your student number. An email confirming your booking will be sent to you by The Hive Admin Team along with a booking reference number and details of the room you have been allocated. Currently, The Hive admin team will only be able to respond to email booking requests between 9am-4pm, Monday to Friday. Outside of these times please speak to a member of staff. 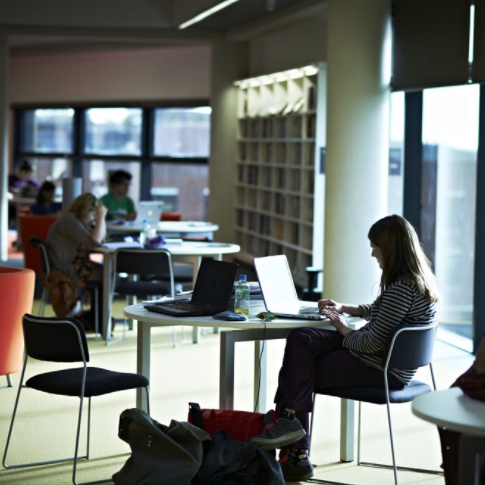 For full details about booking a study space at The Hive, please see our pack for students.